AS I travelled down to Croke Park on Saturday I was listening to the Irish rugby team’s capitulation at the hands of Wales. It was very hard to imagine the wreckage that only a few months previous would’ve seemed impossible. In November, Ireland were widely recognised as one of the top two sides in world rugby, alongside the mighty All-Blacks. Joe Schmidt’s coaching had seemingly turned the unpredictable Irish into an unbeatable machine and their confident defeat of the All-Blacks in Dublin confirmed that opinion. Like Team Sky in the cycling world, a dominate force had been created by harnessing the dual prongs of talent and cutting-edge development. Yet sport, or more likely human nature, has a funny way of denying the never-ending champion. In Gaelic Games terms, over the years we’ve had dominant Kerry teams in the past, as well as Kilkenny’s hurlers in the ‘Noughties’, and now the Dublin footballers. Everything about theses sides at their peak suggested they couldn’t, or wouldn’t, get beat. The occasional minor mistakes which all other teams make just didn’t seem to affect them. In the end, opposition teams start to look beaten before they even take to the field, or at the first inkling that their vaunted opponents are in the mood. As the commentators started raking through the wreckage of Ireland’s defeat to Cardiff on the radio, some even managed to claim to have seen it coming. They said it was obvious that a team couldn’t be kept so constrained and under constant pressure in terms of training level and approach as Schmidt was demanding, without eventually running out of steam. Despite the players being as conditioned as physically fit as ever, the skills, reactions and hunger starts to desert them. 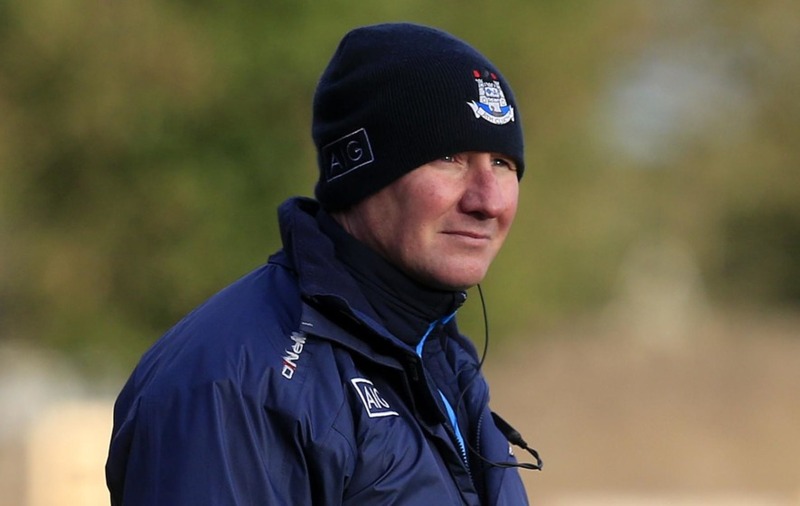 A few hours later, as I left Croke Park, the musings of those analysts echoed in my head as Jim Gavin’s frustrations at his players’ performance bounced off the walls in the press room deep within Croke Park. Obviously there are conflicting arguments about what to make of Tyrone’s victory over the Dubs. On the one hand, any hint of perspective reminds us that this is mid-March, hardly a definitive time of the season. The notable victories earned at this time of the year that turn to dust come the summer are too numerous to mention. Everyone knows Dublin’s focus is on the ‘Drive for Five’. We know they are not long back from an extended winter break and that, unlike Tyrone, Dublin don’t make use their pre-season competition. Most of all, we know that Dublin played poorly. They made uncharacteristic errors, missed uncharacteristic chances and lost a few men to injuries – all of which, as any team will know, can lead it to being ‘just one of those days’. But this is Jim Gavin’s Dublin we are on about. Normal rules have never applied to them. They went on an unparalleled 36-match unbeaten run between March 2015 and May 2017, and the very fact this is the first time since 2012 that Dublin will not contest the Division One final shows just how important the League has been to them over the last few years in terms of feeding into their summer campaigns. The basic fact is that Dublin have lost their form. Key players are not performing to their previous levels – Cian O’Sullivan, Ciaran Kilkenny, Paul Mannion, James McCarthy and Con O’Callaghan are just some of their top performers who have had indifferent League campaigns. Their best player has probably been Cormac Costello, the newest and freshest kid on the block. The biggest concern for Dublin is that this wasn’t just ‘one of those games’ where nothing went for them while their opponents couldn’t put a foot wrong. For every Dublin mistake there was a Tyrone one. 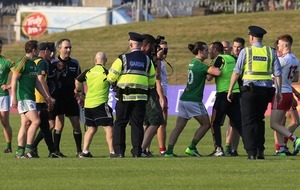 Cathal McShane has been lauded for his performance, and rightly so, yet on another day an additional 2-2, at least, could have resulted from his work alone but for a few missed passes and rash shots. Right across the pitch, there were similar issues. When the Tyrone management team and players sit down to do their video work they will see plenty of things to improve upon. Yet strangely, that is perhaps the most important aspect of the win. Dublin played poorly, so if Tyrone couldn’t beat them, what chance would they have come the summer? But Tyrone did beat them and, critically, without hitting top gear themselves. Tyrone’s kicking game was the primary weapon which hurt the champions and has received a lot of attention. That aspect of their play has gradually developed over the course of the League and the balance has gradually become better and better. Players are becoming accustomed to the types of runs to make and the types of passes to give. Some of the passages of play were not unlike how the team of the ‘Noughties’ linked up with Stevie O’Neill. The passes were often delivered before the run was made. 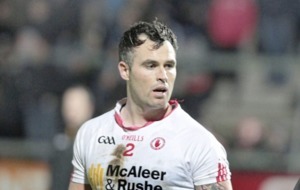 That style of play is awesome to watch, and Tyrone revelled in the space afforded to them in front of the full-forwards on Saturday night, which allowed them to flourish. As much as their attacking play was working well, the strongest part of Tyrone’s performance was their defending, where the man against man play was excellent. 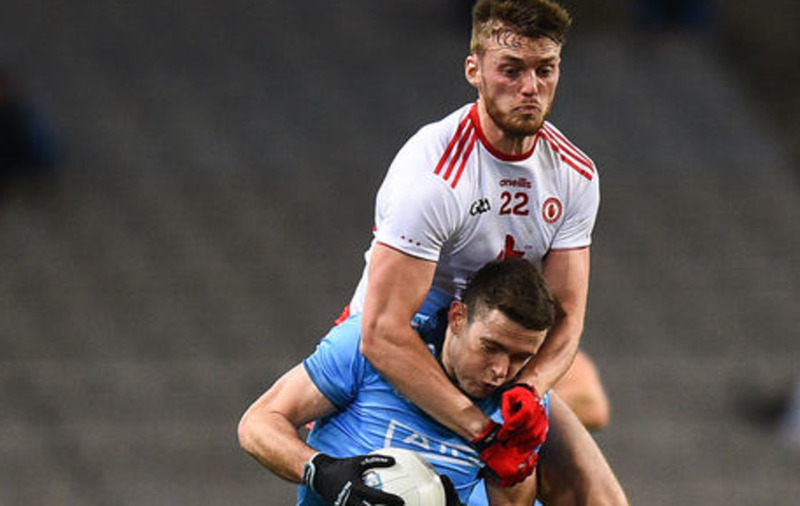 Some surprising matchups came up trumps too, like Ben McDonnell on Ciaran Kilkenny, Brian Kennedy on Brian Fenton – both wins for Tyrone from their newest men. 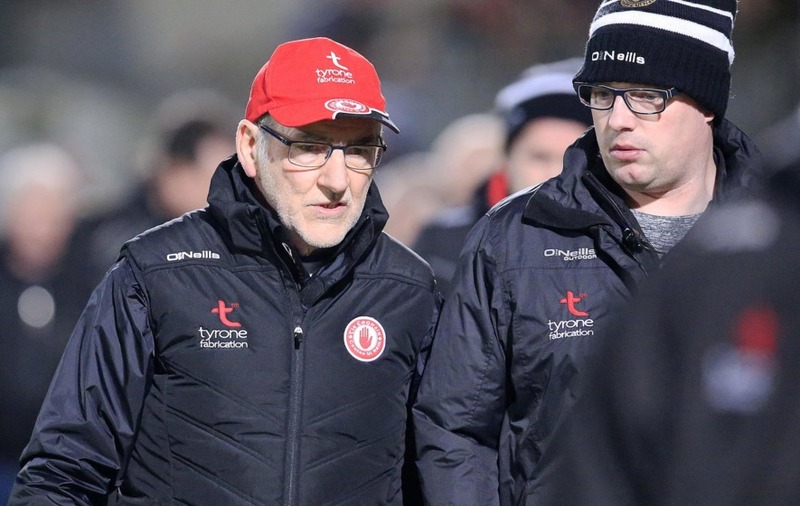 It has been a common criticism that Tyrone don’t have an effective Plan B. Mickey Harte has clearly been working at permutations and coaching a different attacking strategy. Sure, the ‘work in progress’ signs have flashed brightly at times, but last Saturday we got a definite glimpse of the fancy new building in behind the construction hoardings. 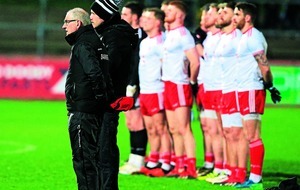 THE Red Hands take on Galway in Omagh on Sunday and it is a perfect test for them as the Tribe’s additional and earlier deployment of sweepers is the tactical ‘kryptonite’ to the long kicking game. However, if Galway drop off to cover off those kick-passes, Tyrone’s running game should start to poke holes. 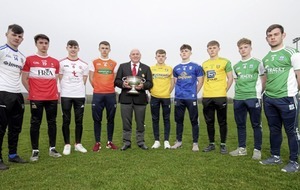 The ability of Harte’s men to vary between attacking strategies and still maintain their defensive solidity is the next test of their progression. Tyrone suddenly look in promising fettle. But just as their earlier poor performances against Mayo and Kerry were of no value in terms of predicting their performance level just a few games later, Dublin’s performances are likely to bear little resemblance to their summer displays. When trying to play catch-up with an opponent that has been out in front for so long, there is nothing more demoralising than seeing the gap stay the same, and at times increase. It becomes a very different race when the leader starts to slow and the chasers start to see the gap narrow. Dublin’s form will improve, but sport is a funny thing. They are still leading the race and are still favourites to win, but suddenly it feels like there is something to be chased down. The hunt is on.